SOUND ADVICE aims to give artists, managers, and emerging industry professionals a leg up into the industry through providing access to stellar guest speakers. Covering a range of topics, SOUND ADVICE will demystify the music industry, identify career pathways for artists, offer free advice from industry professionals, as well as survival tips for coping as a contemporary musician. 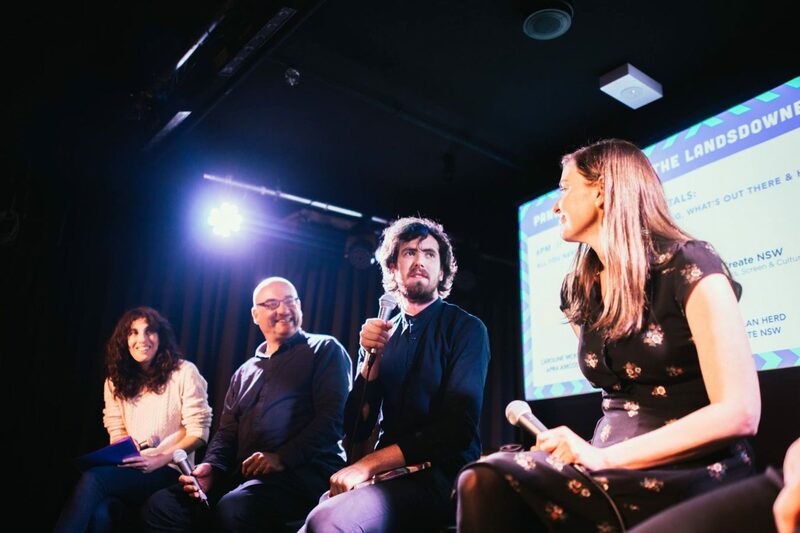 You can come along to one of our free industry panels, listen to your idols tell-all at an artist talk, or enrol to become a master in one of our masterclasses. The program will roll out over the year so stay tuned to our socials and enews for the latest announcements. The evening is hosted by Esti Zilber (SOUNDS AUSTRALIA). 6PM // Funding Fundamentals: All you need to know about funding, what's out there and how to get it. Featuring Emily Collins (MusicNSW), Caroline McKnight (APRA AMCOS), Andy Rantzen (Australia Council for the Arts) & Lachlan Herd (Create NSW). Featuring Millie Millgate (Executive Producer, SOUNDS AUSTRALIA) and Glenn Dickie (Export Music Producer, SOUNDS AUSTRALIA). A lot has changed since SOUNDS AUSTRALIA was first established to support Australian Artists and industry at international showcase and conference events. If you’ve exported before or are looking to for the first time, this masterclass will provide a comprehensive update on the latest opportunities, trends and changes taking place with export platforms around the world. Featuring the SOUNDS AUSTRALIA team and expert panelists, we encourage you to come and join the discussion. In addition, artists and managers can book time for a one on one meeting with SOUNDS AUSTRALIA to discuss specific international plans. Sound Advice is supported by Create NSW & APRA AMCOS.